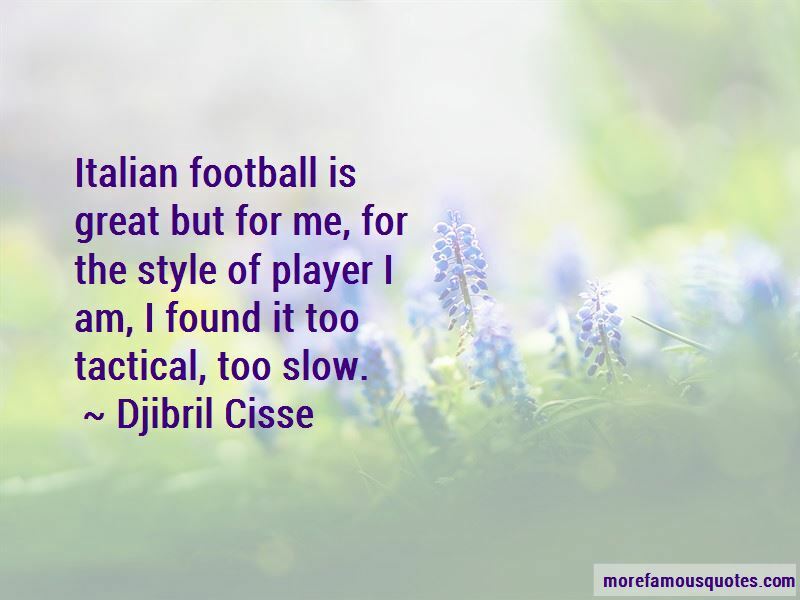 Enjoy the top 4 famous quotes, sayings and quotations by Djibril Cisse. 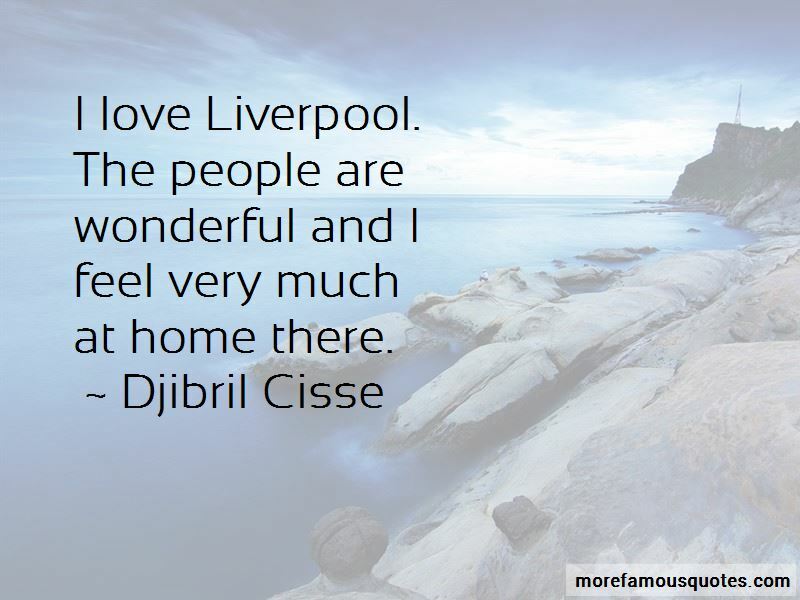 I love Liverpool. The people are wonderful and I feel very much at home there. 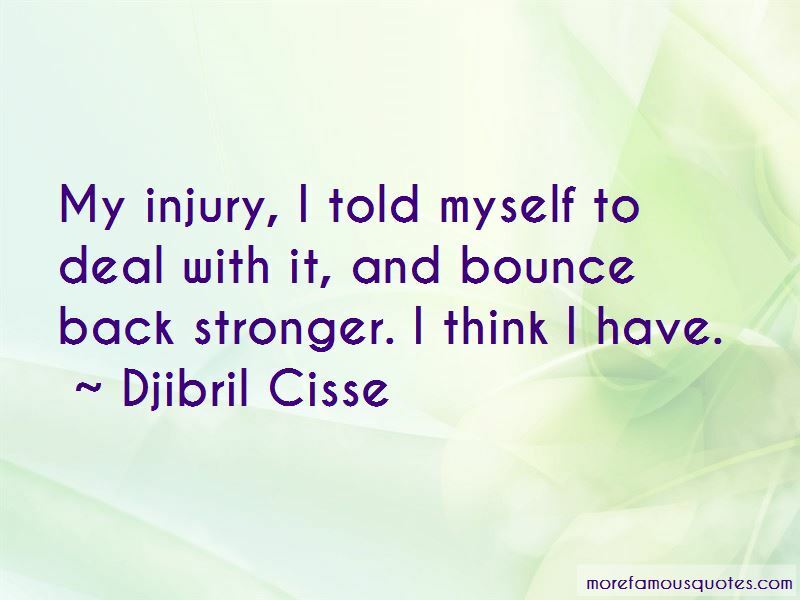 Want to see more pictures of Djibril Cisse quotes? 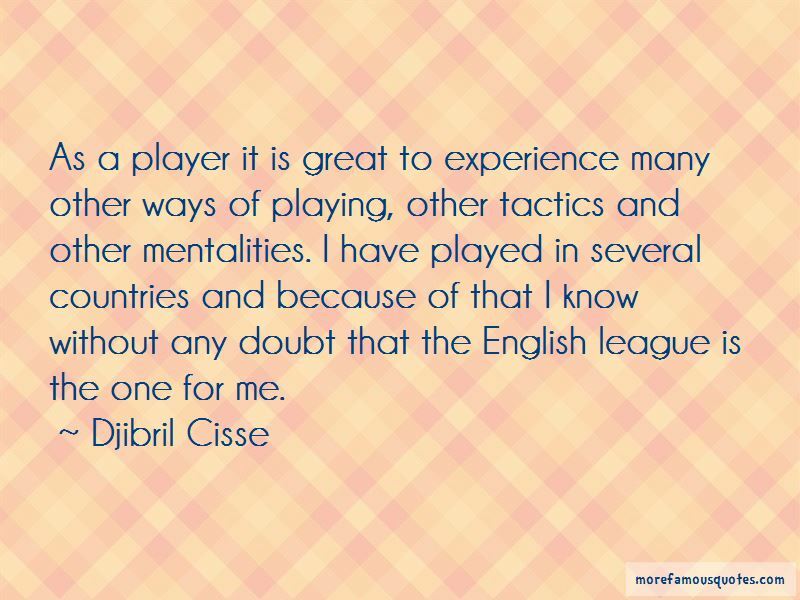 Click on image of Djibril Cisse quotes to view full size. “And whosoever fears Allah and keeps his duty to Him, He will make a way for him to get out (from every difficulty).And” — Anonymous.